The Agroindústria Engenho Terra Vermelha S.A. is located on 124 acres of one of the best soils in the world, the red clay soil in the south of Brazil, known originally for the great coffee plantations and today one of the largest soybean producers in the world. 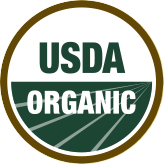 The distillery is certified organic by the IBD (Instituto Biodinamico), by the USDA Organic and also accredited by the IFOAM (International Federation of Organic Agriculture Movement). It was built according to rigorous technical procedures to produce organic sugar cane of the highest quality for the 100% organic Terra Vermelha cachaça, a differentiated product with great receptivity in the domestic and foreign markets. The employees are highly trained and capacitated professionals, dedicated to producing the best cachaça there is. 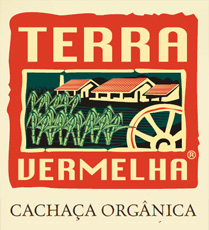 The Terra Vermelha cachaça is produced through the distillation of the fermented juices, sugar cane wine, in copper stills. From the the planting of the cane to the bottling of the cachaça, all processes obey the highest quality standards. The sugar cane is not contaminated by being put on the ground during the harvest, it is cut manually and immediately placed in vehicles used specifically for the transportation to the mill. The sugar cane is then ground and made into a juice that goes through a decantation process. The juices are then fermented to form the wine that is going to be distilled. During the distillation process, the first part, called “head”, and the last part, called “tail”, have substances of inferior quality and are separated from the rest. The pure distillation, called “heart”, is what you will find in one of our bottles. This ensures that the Terra Vermelha cachaça does not give our consumers hangovers or headaches. It is then stored in large barrels of Jequitiba Rosa, a noble Brazilian wood considered neutral, which does not alter the taste or coloration of the product. The Agroindústria Engenho Terra Vermelha S.A. is socially integrated and environmentally correct. The sugar cane is produced without the use of chemical fertilizers, pesticides or any other agent that is not 100% organic. All of the cane produced is consumed at the distillery or mill, the physical residues of the ground cane is used to produce heat for our boilers and part is also used as organic fertilizers in the fields. Approximately 30% of the distillation, the initial stage, or head, and the final stage, or tail, are not used in the production of the cachaça, but used as ethanol fuel for the machines and equipments. All steps in the production process follow the most rigorous quality and hygiene standards. This is done to ensure that each new bottle purchased by our customers will look and taste as good as the last one.